The skyscrapers and mid-rises of downtown Cincinnati tower over the northern banks of the Ohio River, which divides the Buckeye state with Kentucky. This bustling southwest Ohio region - home to more than two million people - offers plenty for your family to explore. From freebies to pricier adventures, here are my top 10 must-dos. Over the past decade, city leaders have invested a lot of money in Cincinnati’s waterfront, home to two of the city’s major league teams. 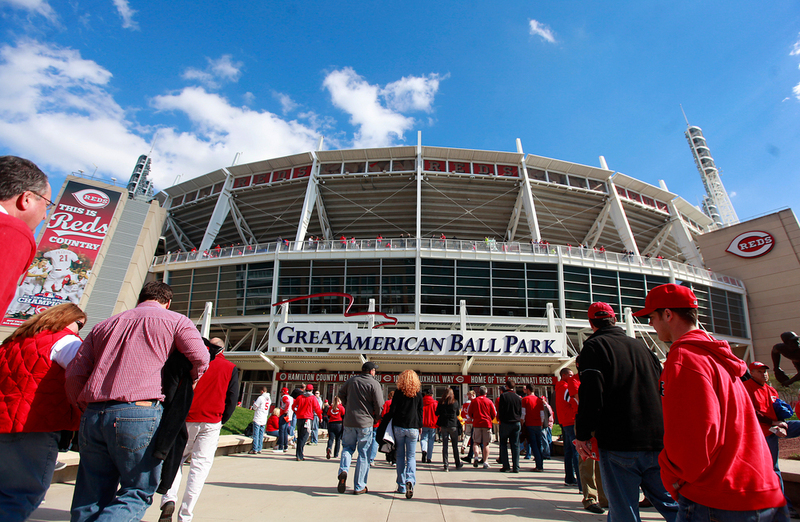 The Cincinnati Reds play at the storied Great American Ballpark. The stadium is very kid-friendly. Your baseball fans are sure to enjoy the antics in between innings. Seats in the upper balconies go for less than $20/person. If you visit in the fall, you may find the Cincinnati Bengals playing at Paul Brown Stadium. Even if you’re not a sports fan, Smale Riverfront Park is a fun spot for a family stroll with fountains, gardens, playgrounds, and restaurants. 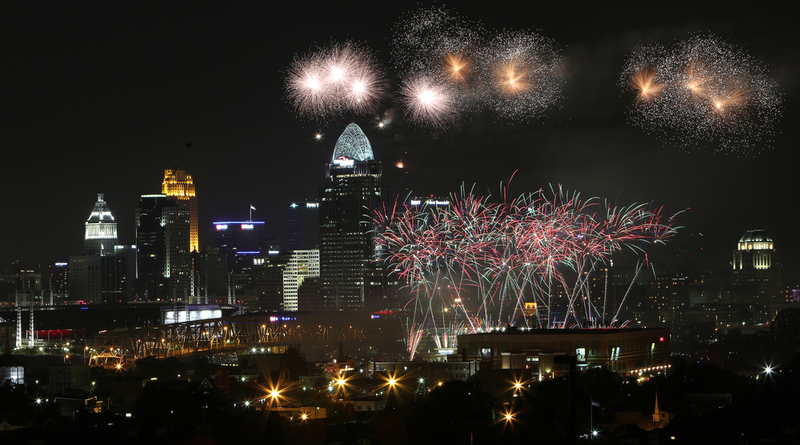 KidTripster Tip: Align your visit with Labor Day, and you’ll see one of the best fireworks shows in the country, when Cincinnati celebrates Riverfest. 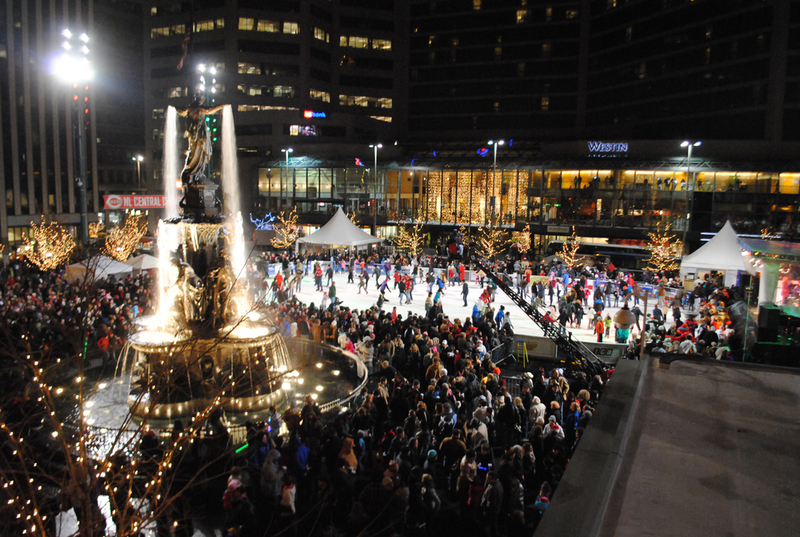 Cincinnati’s Fountain Square offers great city sights and free performances. If you’re traveling in the winter, go ice skating for just a few bucks. Family-friendly restaurants are plentiful here. Try the delicious, stone-fired pizza at Via Vite Italian Bistro (520 Vine St.), overlooking the square. If you want to splurge, the Brazilian steakhouse Boi Na Braza (441 Vine St.) is top-notch. 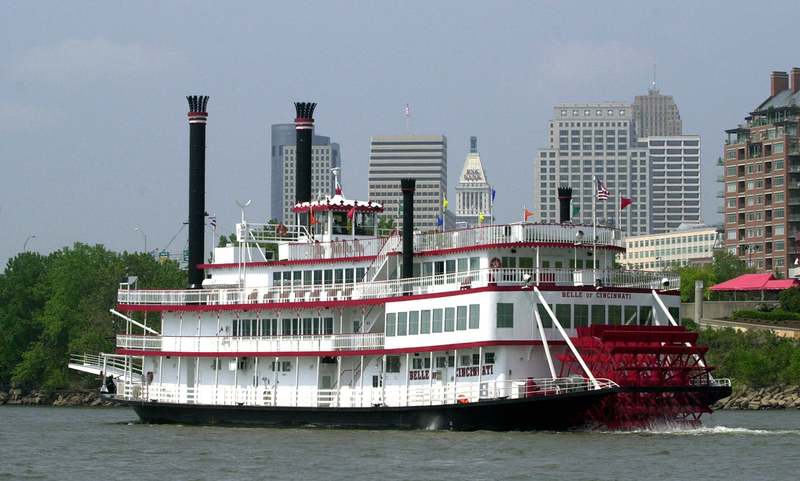 Cross the Ohio River into Kentucky to set sail with BB Riverboats (101 Riverboat Row, Newport). The cruise line offers sightseeing, lunch, and kid-specific cruises with pirate, princess, and super hero themes. But my vote is for the dinner cruise. The food, served buffet style, is pretty good; dress attire is casual. You eat while watching the sun set on downtown Cincinnati. Kid cruise cost: Youth (2-12) $19; Adult $23. Dinner cruise cost: Youth (4-12) $38; Adult $55. KidTripster Tip: Look for discounts on BB Riverboat’s Facebook and Twitter accounts. Newport Aquarium (1 Aquarium Way, Newport) neighbors BB Riverboats at Newport on the Levee (1 Levee Way, Newport), a retail-restaurant-and-entertainment center. 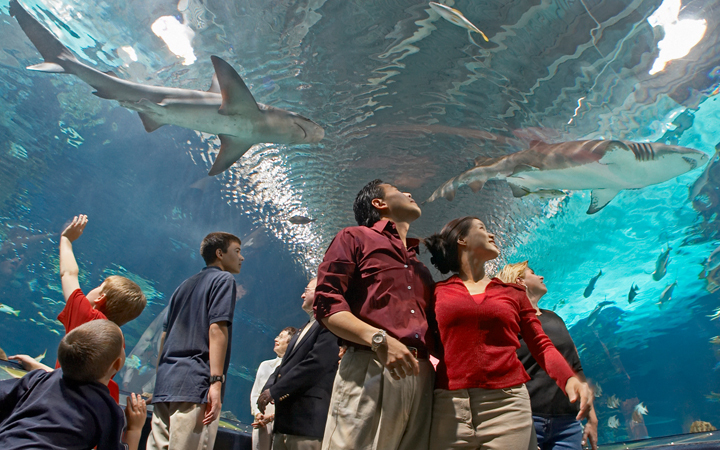 The aquarium is home to sea life from around the world with multiple fish tanks and tunnels. Shark Ray Bay has the largest population of this unique species in the U.S, thanks to the aquarium’s breeding program. Scuba divers talk to kids from inside the massive tank, while swimming with the sharks! Your kids will be mesmerized by 14-foot, 800-pound alligator, named Mighty Mike. They also can touch leopard sharks on the way to the penguin dome. And for the brave, cross the narrow shark bridge, just inches above nearly two dozen sharks with sharp teeth! My son was all in! Cost: Youth (2-12) $15.99; Adult $23.99. 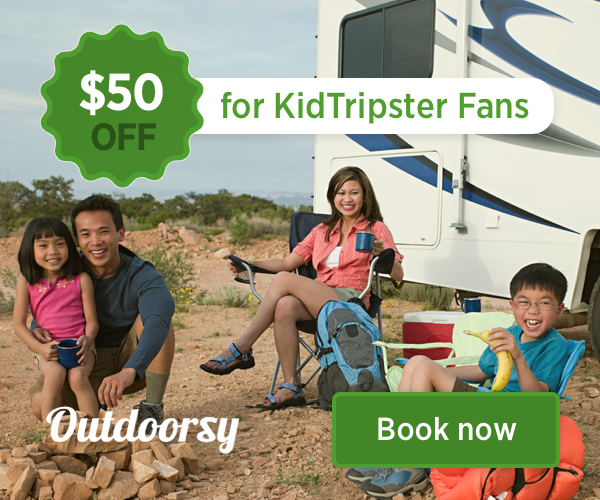 KidTripster Tip: Look for online discounts and specials; there's also discounts after 4 p.m.
KidTripster Tip: Check the schedule when you arrive for special talk and feeding times. 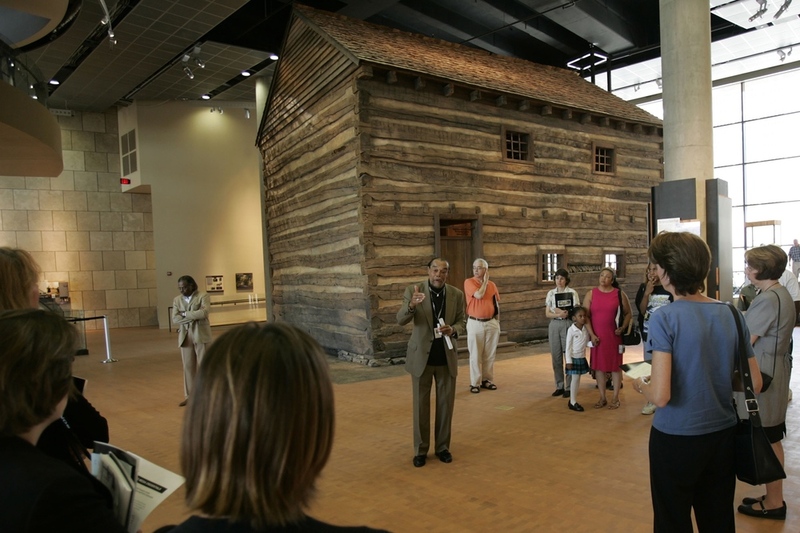 The National Underground Railroad Freedom Center (50 E. Freedom Way) explores the introduction of slavery into the Americas through its abolition. It takes an in-depth look at the stories of abolitionists using incredible storyboards. Your kids will never forget standing in “The Slave Pen,” built in the 1800s. It housed slaves on a farm in Kentucky, and the screws for the chains are still in place. It’ll no doubt spark important conversations for the rest of your trip. Cost: Youth (3-12) $10.50; Adult $15. The Cincinnati Zoo and Botanical Garden (3400 Vine St.) is located in Avondale, a neighborhood just north of city center. Like most zoos, the animals are fascinating to see, but it’s especially enjoyable here, because patrons can often look down into the animal enclosures. 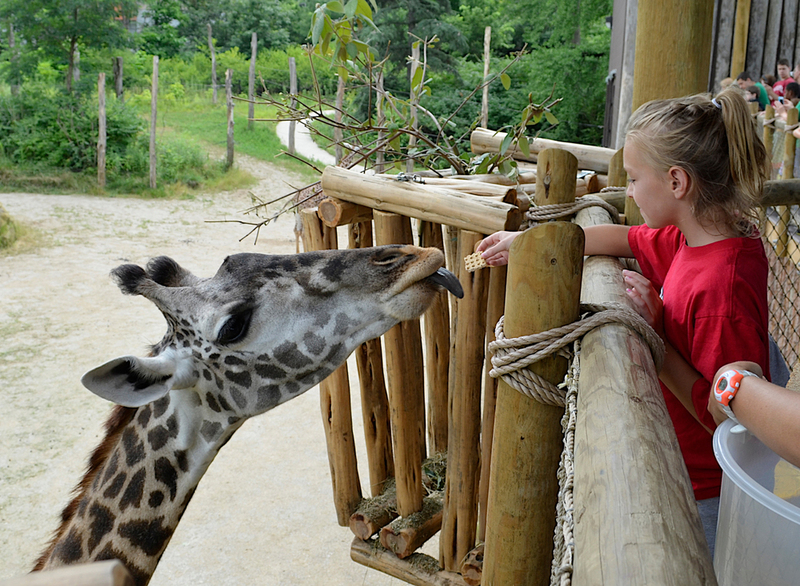 Kids can peer into the gorilla habitat or see eye-to-eye with the giraffes. Don’t miss watching the cheetah run or elephant bath time. Cost: Youth (2-12) $22; Adult $27; Parking $10; discounts available online and at some local Kroger stores. KidTripster Tip: The animals are most active in the morning, so get an early start and map out the day based on the keepers interacting with the animals. Located just west of downtown, the Museum Center at Union Terminal (1301 Western Ave.) is home to Duke Energy Children’s Museum. Kids can explore a pint-sized town with a grocery store, pet hospital, and diner; toddlers have their very own space at Little Sprouts Farm. But the main attraction is the three-story, nature-inspired jungle gym called The Woods. 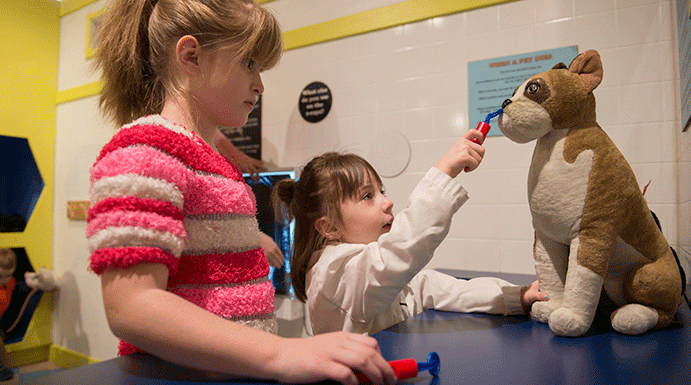 While it’s designed for visitors ages 8 and up, younger kids can explore with a parent. Cost: Youth (1-2) $5.50; Youth (3-12) $8.50; Adult $10.50. EnterTRAINment Junction (7379 Squire Ct, West Chester Township) houses the largest model train display in the world, but this place is for non-train lovers, too. Beyond the trains and tracks, it has accompanying cities and countrysides; the detail is staggering. It beautifully captures the history of rail in America. As you walk through the Junction, your kids can hit buttons that make certain trains move with accompanying sounds. About a quarter of the way in, kids can stop at the train-themed play area, which has something for all ages from toddlers to pre-teens. EnterTAINment Junction is just off Interstate 75 about 30 minutes north of Cincinnati. My toddler said “choo choo” for days! Cost: Youth (3-12) $9.95; Adult $15.95; discount tickets available online. About 25 minutes northeast of Cincinnati is Kings Island and Soak City, the largest amusement and water park in the midwest, where you pay a single admission price for both. 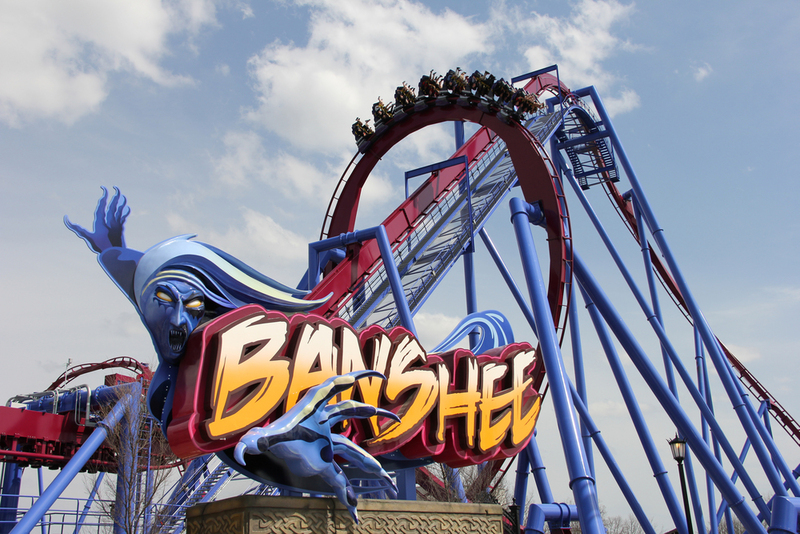 Hold on, because this park has some serious stomach-dropping rides with names like Banshee, Delirium, and The Beast. Your thrill-seeking tweens and teens will be more than satisfied. 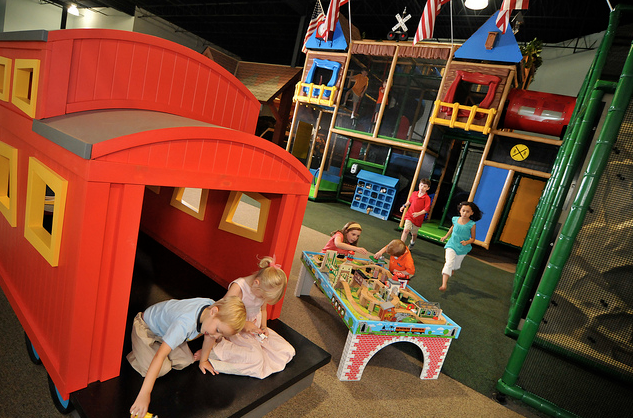 If you have little ones, there’s plenty for them to do in Planet Snoopy, as well as family rides like the Kings Island & Miami Valley Railroad and a trip to the top of the faux Eiffel Tower. Cost: Youth (under 48”) $38.99; Adult (over 48”) $65; discount tickets available online; save more if you go after 4 p.m.
KidTripster Tip: Bring sunscreen, as there’s not a lot of shade beyond an air-conditioned indoor pavilion. 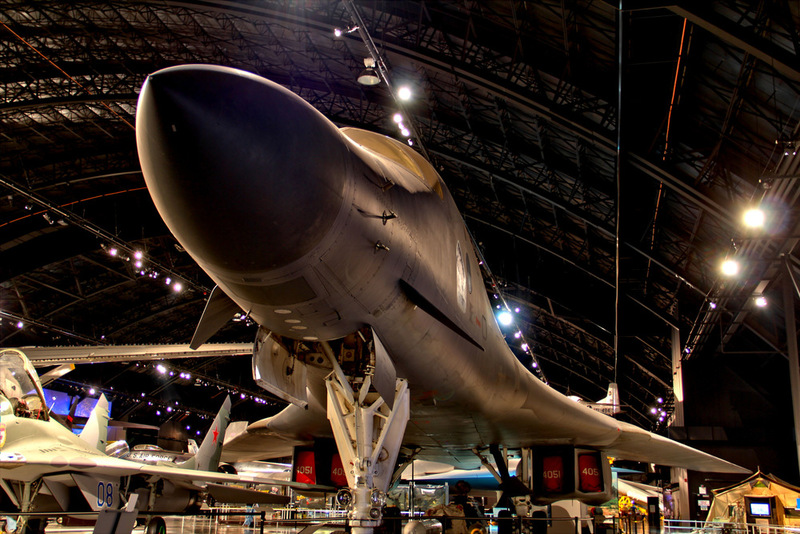 A little more than an hour north of Cincinnati, you’ll find the National Museum of the United States Air Force (1100 Spaatz St, Dayton) located on the impressive Wright Patterson Air Force Base. You could spend weeks here, but some of the must-sees include the chilling Cold War gallery and WWII gallery, which houses Bockscar, the B-29 bomber that dropped the Fat Man nuclear weapon on Nagasaki. You also can tour the Air Force One used by Presidents Kennedy, Johnson, Nixon, Ford, Carter, Reagan, Clinton and George Herbert Walker Bush. Cost: Free. KidTripster Tip: One final note, it can be expensive to fly into Cincinnati/Northern Kentucky International Airport. Compare the rates to Dayton International Airport. Dayton is about an hour north of Cincinnati (sans traffic). Jackie Labrecque is a mother of a 2-year old and journalist, living in Portland, Oregon.